The biggest Olympic superstars are back and the only country they're representing is video game land. The team-up that fans could previously only dream of is back, as the worlds of Mario and Sonic the Hedgehog combine at the 2010 Olympic Winter Games in Vancouver. Following the same format of the 2008 summer games tie-in you and your friends can choose to compete in authentic Olympics disciplines as everyone from Mario and Sonic to Bowser, Dr Eggman, Yoshi and Tails. All the disciplines you'd expect are here, including alpine skiing, ice hockey, speed skating, bobsleigh, figure skating and snowboard halfpipe. There will also be new fantasy events such as Dream Ski Cross, which sees everyone competing in a Mario Kart style race complete with familiar looking power-ups and speed boosts. Realism isn't the goal here, just good old fashioned multiplayer fun. Superstar team-up: Only the second game to include Mario and Sonic characters together, featuring the official Olympics license and input from Mario creator Shigeru Miyamoto. 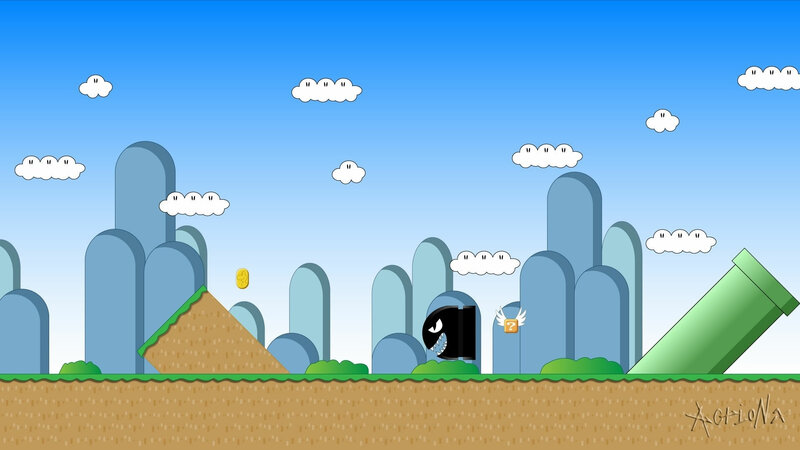 Worlds collide: Play as any of the characters from the original game - from Prince Peach to Vector the Crocodile, as well as first-timers Donkey Kong and Metal Sonic. Added balance: For the first time in a Sonic & Mario game you'll be able to use the Balance Board for some events, if you have one. The full monty: The new Festival mode lets you play through the whole of the Olympic Winter Games, including all the disciplines and an opening and closing ceremony. Friendly rivalry: Mountains of multiplayer options, including four-player competitive tournaments and co-operative games. 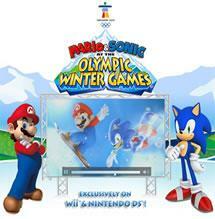 A video of Mario & Sonic at the Olympic Winter Games - this was originally released by Nintendo as a gameplay teaser prior to it's release.